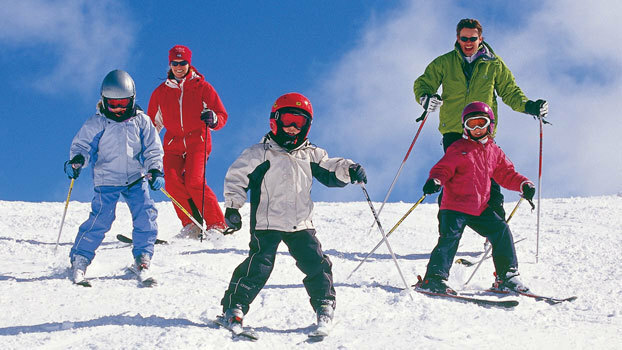 Skiing can be an expensive exercise for a family, with the cost of getting there, gear, accommodation and lift tickets all adding up fast. Here are our top tips to help with your saving and make your money go further on your ski holiday. 1. Seasonal timing: Plan your snow holiday early or late in the season when cheaper lift passes and accommodation are available. 2. Be organised: Look for early bird deals through resort websites and plan ahead so you can grab a deal when you see one. 3. Get creative with accommodation: Saving money is easier when you don't stay right on the slopes. Pick a nearby town and opt for self-catered accommodation so that you can cook for yourselves and avoid eating out three times a day (plus all the inevitable snacks and hot chocolate ski breaks!) Take a look at alternative accommodation options, such as airbnb or HomeAway for a cosy, personal experience. 4. Take your squad: If you’d prefer the convenience of staying on snow, think about travelling with a group and staying in a lodge with shared amenities. 5. Savvy ski gear sourcing: Borrow ski clothing, goggles and gloves from friends and hire skis, snowboards and boots from your home city as prices will be cheaper than picking up your gear on snow. Alternatively, head to Aldi for great ski gear with a budget price tag. 6. Wholesale: Many people aren't aware that you can actually book your trip through a wholesaler to get great package deals that include accommodation, lift passes, lessons and gear hire.